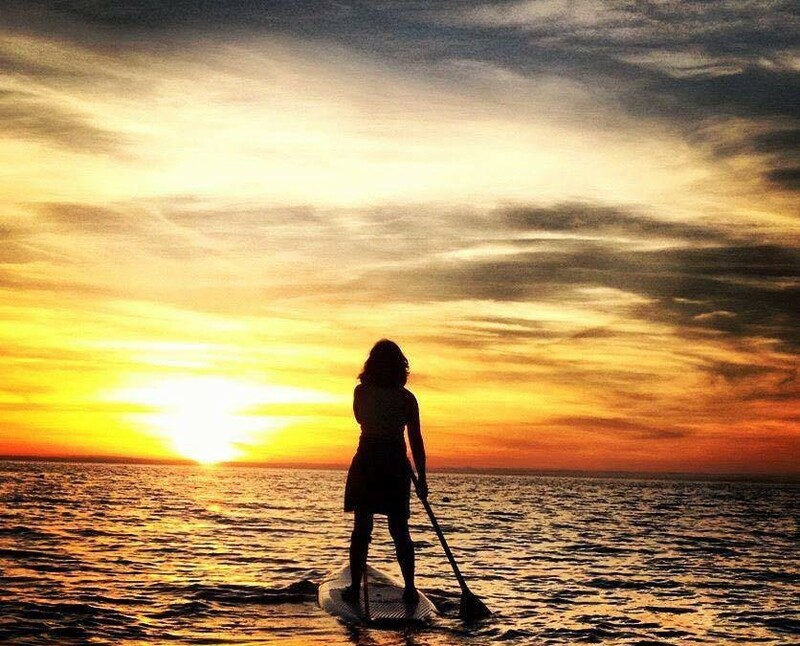 Special guest bloggers Vie Binga and Tim Ganley join us today to talk about Yin Paddling. They are the authors of three of the best books of 2016 (Learn to Paddleboard, SUP Yoga-Sutras, and Progressive Relaxation). Join us today with some more great material. Join two of the best paddleboarding instructors in the world as they provide their in depth knowledge of Yin Paddling. “Economy of action” is the term used to describe the ability to accomplish as much as possible with as little effort as possible. In other words, the ability to generate minimal waste. Your favorite activities would not be that, if they were a waste of your time, money or energy. “Smart play” is the term used to describe any activity, indoor or outdoor that can be performed long-term without injury and with the maximum benefit, be it physical or mental. In other words, your favorite activity is what makes you wear out, from playing; not rust out, from injury or boredom. With the above two principles in mind, we developed the Yin Paddling Technique. 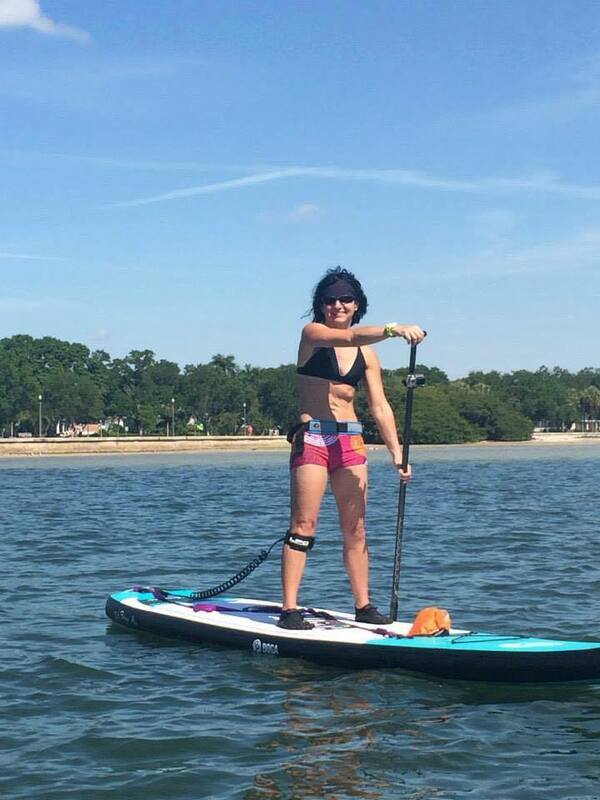 This technique, brings smart play and economy of action to flat water stand up paddle boarding. Less typical muscle activation, so longer lasting muscle use, hence longer paddling time. Deeper breathing due to thoracic diaphragm activation. More sustained power and purpose to your strokes. 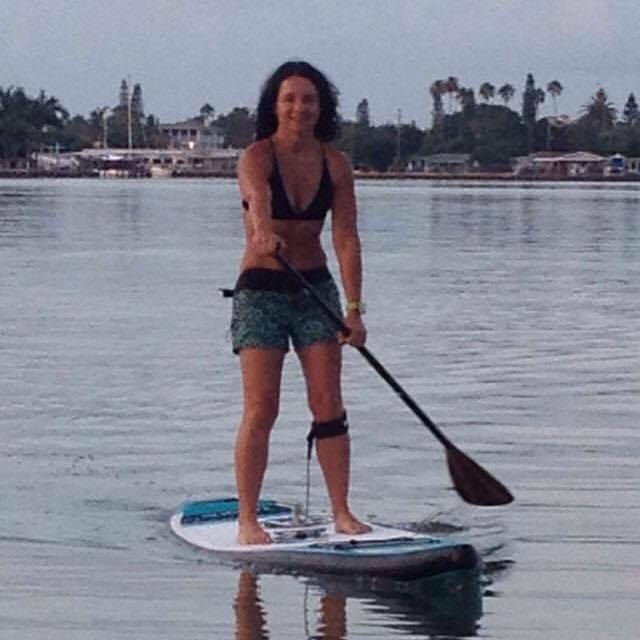 Below, we are giving you in great detail, everything you need to implement the Yin Paddling Technique and add great power and purpose to your stand up paddle boarding time. 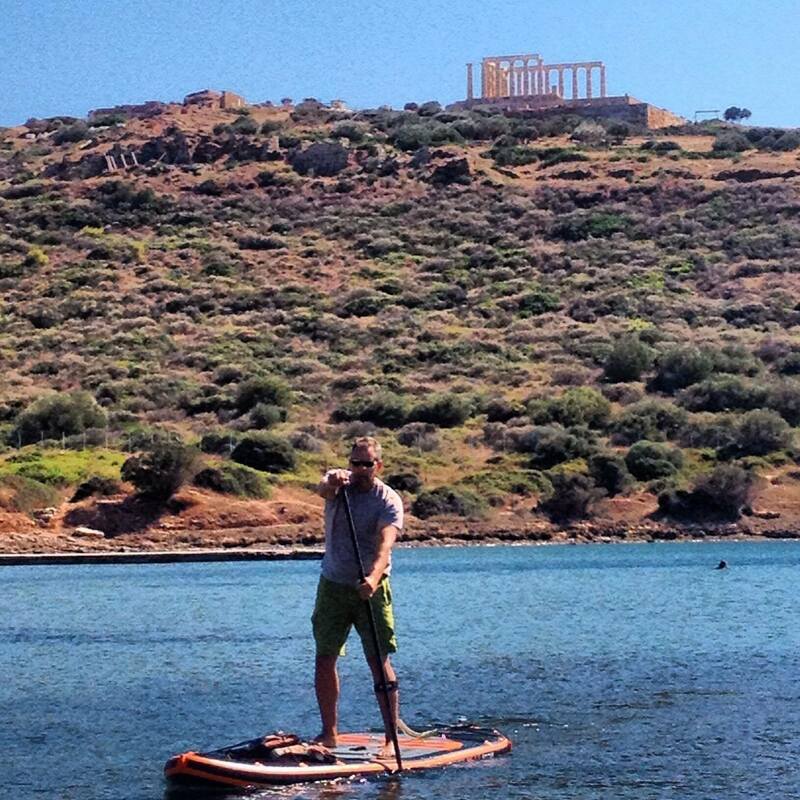 It is always best to set up your paddle height on land. 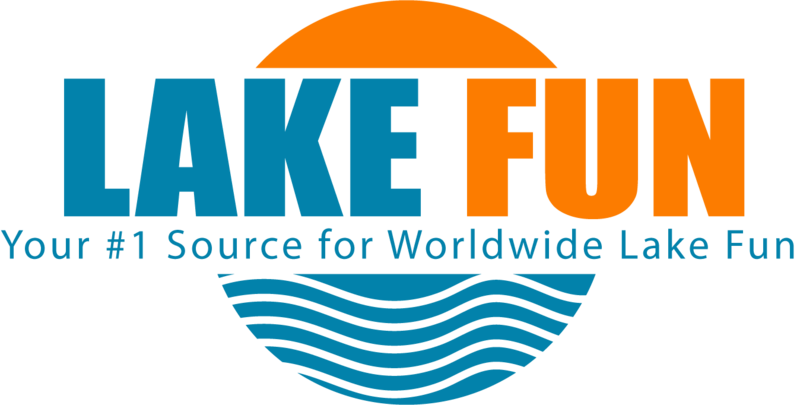 You can still fine-tune it later while on your board and on the water. 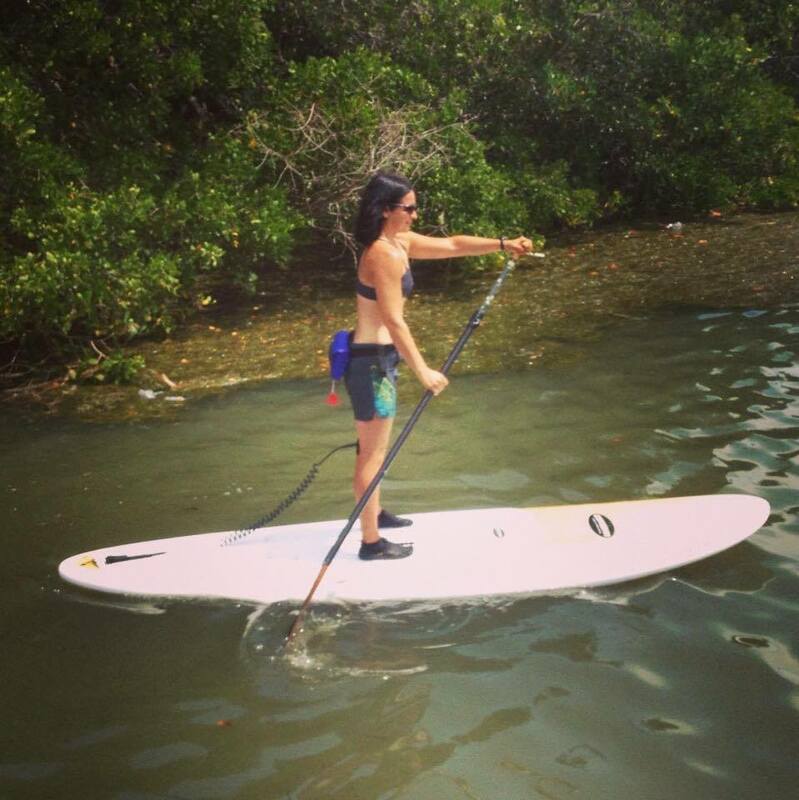 Stand barefoot, on an even ground so that your feet and bottom tip of the paddle blade are on the same level. Reach up with one arm and grab the handle of the paddle, not just the shaft. You want your raised arm extended with a very slight bend on your elbow. If in doubt, it is safer to go higher rather than lower. 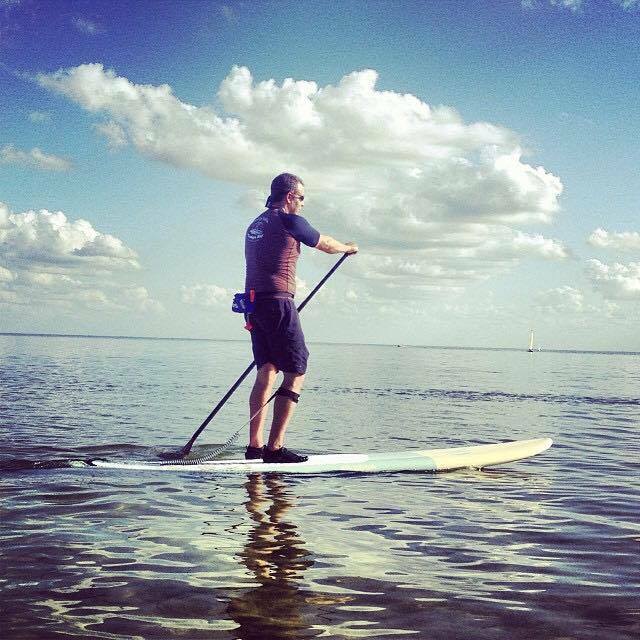 That is the ideal paddle length for you for recreational and SUP & Yoga paddling on flat water. One hand needs to be holding the handle of the paddle and the other hand needs to be as far down as possible, while comfortable, for leverage. You should be facing the face of the paddle so that the “scoop” of the paddle at the paddle throat is facing away from you. You do not want to be “scooping” the water, as counter-intuitive as this might seem. 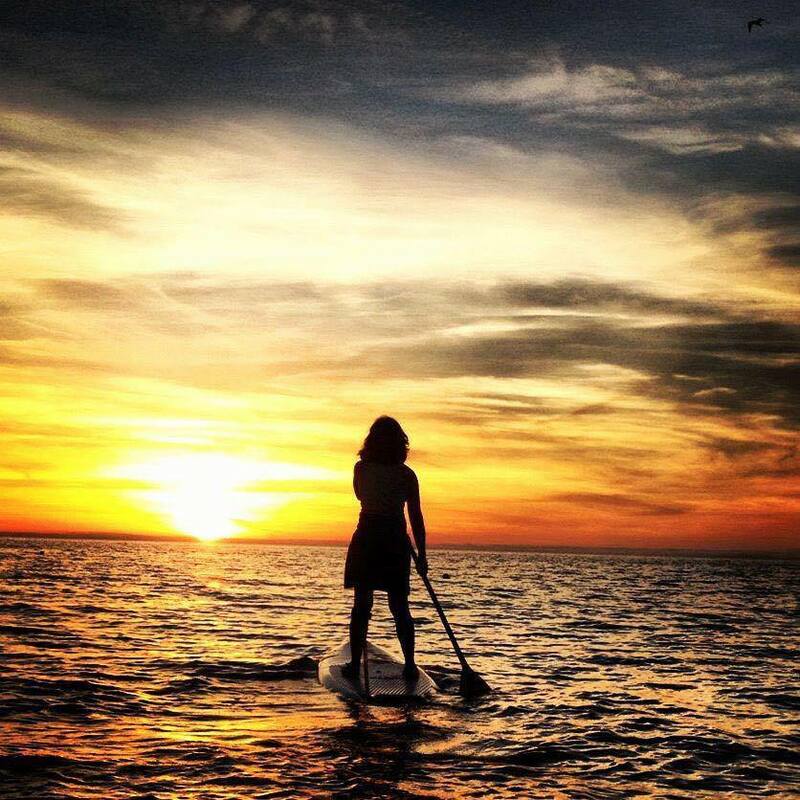 Your goal is to propel your board through the water, by pulling your body towards your paddle. Your grip should be soft. This applies for both hands. You should be barely using your fingers. During all phases of your paddle stroke, the finger hold should be so gentle that if you were to stop paddling, your paddle would slide out of your hands. The Yin Forward Stroke consists of 4 parts that seamlessly follow one another. Extend & Reach – Without leaning forward, extend your arms fully, reaching as far forward as comfortable. Push – With your top hand on the paddle handle, push so that the whole blade of your paddle goes vertically in the water. Pull – With your bottom hand, pull your body towards your paddle and keeping your blade in the water bring it to about your heels/waist. Retrieve – Once there, retrieve the blade by slicing it through the water, away from the board. By keeping your arms as straight as possible and not bending the elbows, you end up using more of your fascia (yin type of tissue) and less of your muscles (yang type of tissue). You want to be using your fascia. Tim Ganley is a lifestyle entrepreneur, outdoor adventurer and author. He loves experimenting with disciplines that lead to physical and mental strength and endurance.He believes that if people learn about the state of flow and practice building their life around it, the world will be much happier.When he is not teaching or designing new programs, he can be found white water kayaking, rock climbing, scuba diving, off road biking or surfing. Vie Binga is a lifestyle entrepreneur, outdoor adventurer and author. She loves to biohack blending science and nature, to enhance physical and mental performance, sharing her findings with others.She believes that high intention, sincere effort, and intelligent execution will always make an impact in people’s lives and the world.When she is not teaching or writing, she can be found rock climbing, surfing, whitewater kayaking or scuba diving.